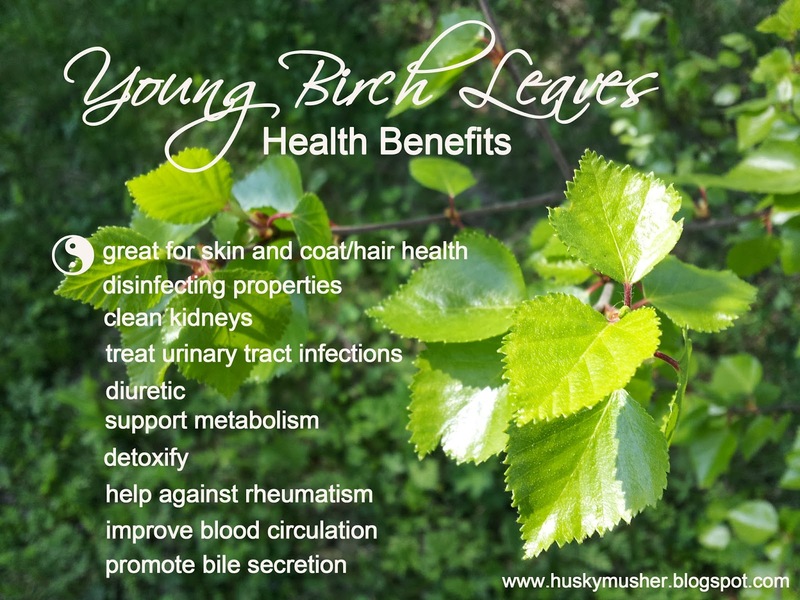 This is a summary of the health benefits and healing properties of the young birch leaves, as I have written about them in one of my previous blog posts. This version is for your free sharing to easily save on Pinterest or to share on your Facebook page with friends. The health benefits of this magnificent tree are great not only for humans, but also for animals. We use young birch leaf tea on daily basis for some of our special nutritional needs dogs as well as in our spring detox cures of the rest of our husky pack. Try them out yourself, their "power" will last for about another 3 weeks (till the end of June), then it will decrease significantly. Here is a link to my other article about the benefits of birch.